The MIRCC8_WiFi is a board that will allow you to connect a contact closure to the board and send an email or text message when the circuit is closed. The board will communicate the contact closure information to your computer over your Wi-Fi network. N-Button Software will then send a text or Email from the computer to your selected recipients. Ideal for applications when you must know a contact closure has been activated. Connect the contact closure (no voltage) directly to the board or add this board to any of our relay boards and use a relay on the board as the contact closure input so you're notified when your relays trigger! Detailed step-by-step information for connecting the board to your computer, setting up N-Button and configuring the text/email can be found by clicking the link below. 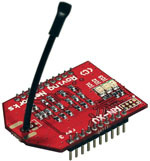 The MIRCC8_WiFi Push Notification board has 1 contact closure input and a Wi-Fi interface. When the contact closure input is closed the board will send this information over your Wi-Fi network to your computer. Using N-Button software you can send a preconfigured text message or email alerting you that the contact closure has been closed. 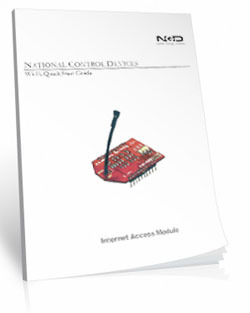 The Inputs on the Push Notification series controllers are compatible with any type of dry-contact input (no voltage). Use any contact closure input such as a button, sensor or another relay and receive an instant SMS and email messages right to your smart phone, tablet, or computer! 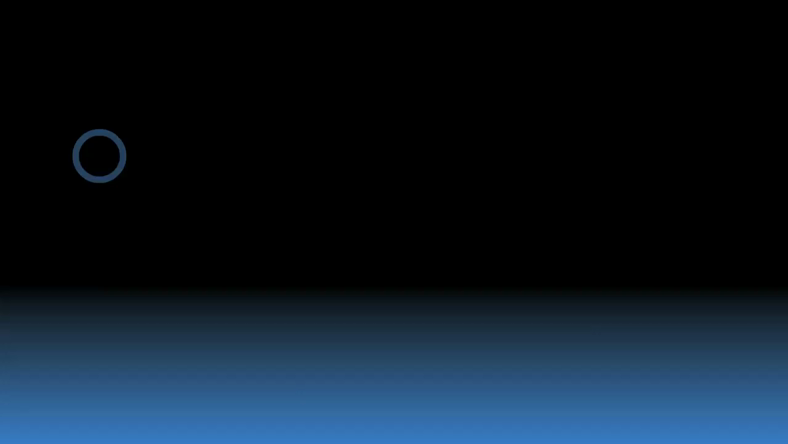 Combine with other boards on this site for a total switching/notification package. The Push Notification Series with Wi-Fi will let you choose between broadcasting the sensor data over the internet to a specific server or to all devices on a Local Area Network. Push Notification series devices with Wi-Fi operate over the internet or on a closed LAN connection. Multiple Push Notification controllers can report data from all over the world to a centralized server for data monitoring, logging, and evaluation. Both Local and Internet options give you access to send emails, text messages, and activate relays using N-Button or custom software. The MIRCC8_WiFi is a contact-closure input detection circuit that automatically forwards sensor data to a network address that you specify. 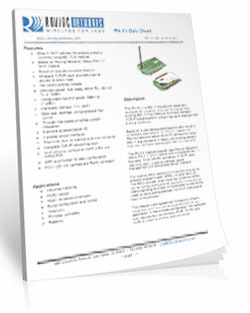 Configure WiFi Push Notification controllers for your choice of UDP or TCP communications. WiFi Push Notification controllers send small packets of data to the IP address of your choice. Push Notification controllers do not directly generate Emails or SMS text messages. Optional N-Button software or custom-developed server software is required for this functionality. 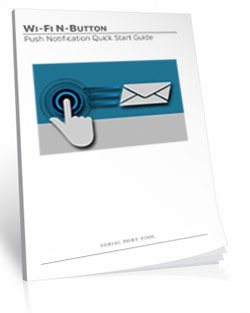 The Push Notification Quick Start Guide will help you setup your Push Notification Controller for your particular application. For more information on N-Button configuration see Wi-Fi N-Button Push Notification Setup. Purchase a Wi-Fi Configuration Kit to Configure the Wireless Network of your choice and set your password. This is done through Base Station Software (a free download) and makes configuring the device simple. Just put the Wi-Fi Module into the Configuration Kit, attach the USB port of the Kit to your Computer and open the Base Station Software. After a few clicks simply fill in the information for your wireless network and the module will run through a series of commands and you're ready to control your board. For more information on Wi-Fi configuration see Configuring the Wi-Fi Module. 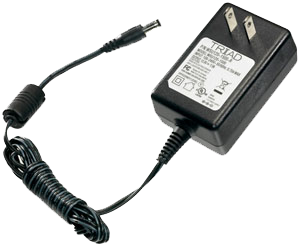 The Wi-Fi module offers a powerful and easy to use wireless solution for relay control. As many of our customers already know, working with Wi-Fi devices can be challenging because they must be associated to a wireless network, and must be configured with security protocols. This embedded WiFi Device supports all of the most popular security protocols for wireless security. Combine this board with other relays boards on the site and make this a total switching/notification package! If your applications calls for switching you can use another relay on the board as an input for the Push Notification Board and get a message sent when you switch a relay on! IF you are a programmer you can of course write your own program using the programming language you are comfortable with This will allow our WiFi Push Notification board to Push data into your program where it can be parsed, logged, and evaluated according to your needs. In this tab we'll look at the Push Notification capabilities of N-Button. The has contact closure input(s) and an interface that will communicate to you computer. When a contact closure input is closed using N-Button or a software program that you develop you can read these inputs and send an email or text message with the connected computer. Please Note: no voltage can be put into the input of this board, it will damage the board. Fully tested before they leave the production facility each board is ready to stand up to rigorous demands from heat, cold or vibration. The best test of all is the numerous boards in the field from customers all over the world in all sorts of conditions. Take it from us, these controllers will hold up! The Push Notification Boards have a great feature where space is a premium - Break-A-Way Tabs. 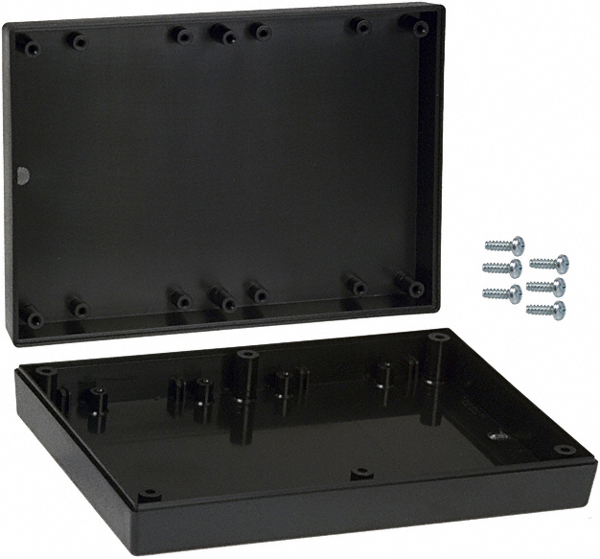 The Break-A-Way Tabs allow most boards to fit in an optional undrilled plastic enclosure. Snap off the Break-A-Way Tabs and you have a controller with a smaller profile when you need to fit in a tight space. This board is manufacturered RoHS compliant with led free solder and parts. Push Notification Boards are guaranteed against manufacturing and functionality defects for a full 5 years! Not to mention a 30-day money back guarantee! If for any reason you are not happy with a board purchased from Relay Pros, simply return it within 30 days and we will give you your money back! Boards that are damaged by our customers will not of course be warranted under any circumstances. Contact Closure Notification Is Here! N-Button Pro/Lite make this a complete package to send a text message or email without programming knowledge. N-Button is a point-and-click software that will allow you to configure the message that is sent and who will receive it. Full support from the developer of this software means just about anyone can send a message from something as a button push to something as complex as a security system alert. Detailed setup information can be found in the Need More Information section below. N-Button is the software you will use to send the text and/or email from a computer and allow you to put a button on the desktop of your computer to monitor the input(s) on the Push Notification board. The Push Notification board can be connected to the computer either from a USB cable, Ethernet or the Wi-Fi connection, which ever you choose to use. Setting up N-Button is fairly simple, setting up communications to the board, setting up the email accounts and typing out the email/text message. You can send a email and/or text to a selected recipients with an alert that the contact closure has been activated. A Subject and message can be sent stating exactly what contact closure has been activated. You configure the message sent. N-Button also allows you to put a button on the desktop to monitor the contact closure. You can assign a color for either state the contact closure is in. This can be placed on the desktop of the computer for an easy way to check the status of the contact closure! This can also be done instead of sending a text message. If you don't want to send out a message but want a visual status of the contact closure simply skip the text/email portion of the setup and you will have a visual reference of the output. Detailed step-by-step information for each interface can be found by clicking the links below. N-Button Pro is software will read the eight inputs on the board and send out the text and/or email message. You can configure seperate text and/or email for each input and send them to multiple recipients! For detailed instructions on setting up the board and messages Click Here! Below are the Push Notifications Quick Start Guides, these are the guides that will help you setup the board on your computer and configure the software. The WiFi Push Quick Start Guide is a Step-By-Step guide to establishing communication with the board on your Wi-Fi network and setting up N-Button Software.